The Tale of a BLM Icon – They Don’t Make ‘Em Like That Anymore! Andy Senti came to work for the federal government in 1951 after Congress formed the Bureau of Land Management. With his credit for military service (he served in Australia during World War II in 1943), his service computation date was October 8, 1948! That was before many of you reading this were born. He was initially hired in the Region 4 BLM office in Salt Lake City as a GS4. Prior to that, he had worked for the Forest Service during summers while attending college. After attending Ft. Lewis College in Durango, where he grew up, Andy graduated with a degree in range management from Utah State Agricultural College in 1950. 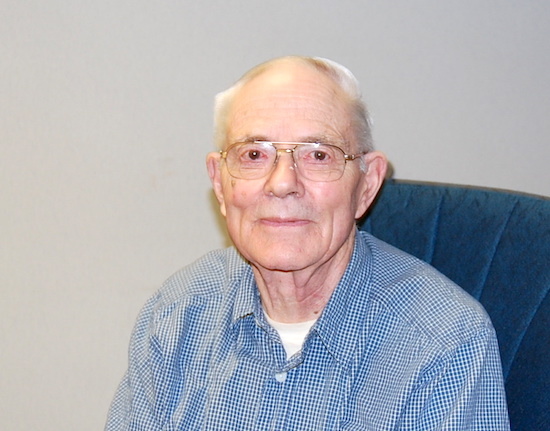 Andy came to the Colorado State Office of BLM in 1954 when it was created. He quickly worked his way up the GS ladder and became a GS12 in 1962. Andy gave a new definition to realty specialist. From his 63 years with BLM, he had a unique historical perspective to bring to today’s work. Initially, Andy processed homesteads that were backlogged after WWII. He processed land exchanges, sales and written patents on over 80,000 acres of land for shale drilling. He worked on grazing issues and near the end of his career focused more on energy issues. One of his favorite assignments was the challenge of solving ownership issues. He was considered a national treasure by other state offices who used Andy’s expertise as a resource on tough cases. In 2011, I had the opportunity to interview this BLM icon. When asked about the biggest advancement during his career, I expected to hear something related to the computer. However, Andy’s answer was quick and definite – aerial photography. He explained that, “Once we could take pictures of what we actually managed, everything changed. It was easier to map and identify areas once we had a view from above. We then knew what we were working with.” He also credited the U.S. Geological Survey with completing their topographical maps which allowed BLM to build better maps. Andy remembered when the agency’s work was very precise, and they prided themselves on being “within a gnat’s eyebrow” for accuracy. He recalled when “good enough for government work” was a positive statement. What changed during his illustrious career? Well, of course, a lot over 63 years, and Andy recognized that although he preferred communication by fax, email was an effective tool. He saw the utilization of aerial photography go from photos taken by a plane to Google Earth and being able to view a piece of land from photos taken by a satellite. Some of the ongoing training requirements still mystified him. IT Security training, whistleblower training, ethics training…Andy just wanted to work on public land issues. The only thing throughout our three-hour conversation that Andy would admit he didn’t like was doing timesheets – a waste of time, he said. That could be because he worked twelve hour days from 6:30am – 6:30pm. He used to work 14 before he had a mishap with a curb and sidewalk and broke his pelvis. After some rehabilitation, I can attest that he was faster with his walker than most of us are without one. When asked how many days a week he worked, he replied, “Only seven,” with a little smirk. It was obvious that he loved what he did and his co-workers expressed an awe at his ability to recall various events throughout his career. In 2009, he was honored by Secretary of Interior Ken Salazar for his 60-year BLM career (which Andy reminded me was actually 61 years at the time!). Andy passed away peacefully on December 20, 2015, at the age of 90. He spent his entire adult life in public service, and it will be hard to find a replacement who will care more for our public lands than Andy Senti. May you rest in peace. Note: When I interviewed Andy back in 2011, the intention was to publish this article at that time. At Andy’s request, I waited to publish it because Andy thought it might look like he was seeking attention. I complied with his wishes, but he agreed that once he was gone, I could use the article as I saw fit. It is my intention here to honor what I consider to be one of the top public servants of our time. « What Qualifies for a TSP Financial Hardship Withdrawal?